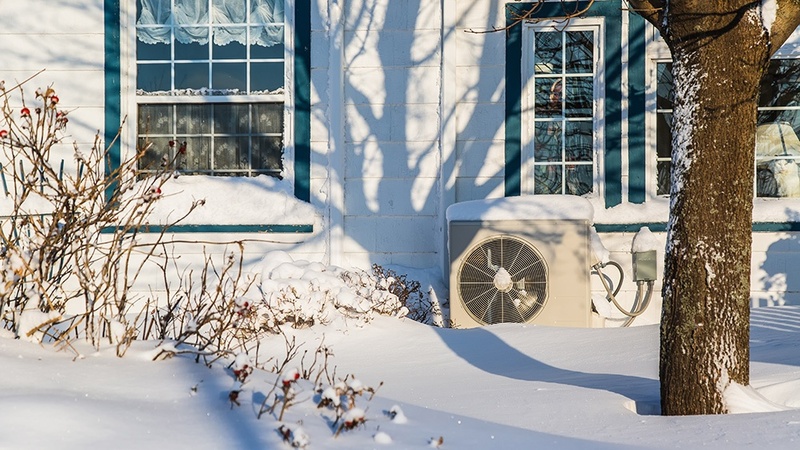 Here are a few tips for maintaining the heat pump through the winter and other times of the year, according to Warner Service in Frederick, Maryland. If you’re unfamiliar with this HVAC term, a heat pump is an all-in-one heating and air conditioning system for your home. In colder areas of the country—such as Maryland, Virginia, West Virginia, and Pennsylvania—heat pumps work with a furnace to provide extremely efficient heating during the colder months. When it comes to the heat pump, a few general HVAC maintenance tips should be kept in mind. Here’s what you need to know beyond typical HVAC maintenance. Keep the programmable thermostat in check whenever possible. Set the programmable thermostat above 65 degrees Fahrenheit in the winter and above 70 degrees Fahrenheit in the summer. This helps keep the HVAC system from overworking, which causes wear-and-tear and increases energy costs. If you have a programmable thermostat, set it to change temperature no more than two to three times a day—such as while you're at work, at night, and during at-home waking hours. This ensures the HVAC unit isn’t being overworked and keeps your home at a consistent level of comfort. Heat pumps should always be elevated by four to eight inches for optimum energy efficiency. It should also be level. If the heat pump is sitting too low or is slipping on the pad, it’s important to call an HVAC professional like Warner Service to raise and stabilize it. Decreased airflow equals decreased efficiency. Check and/or replace air filters monthly. Ensure you don’t forget by adding a reminder to your smartphone or calendar. Save time and money by buying new filters in bulk or on sale and keeping a small supply handy. Ensure the coils on the heat pump are clear of dust and debris. Turn the unit off and clean with an outdoor hose or a heavy-duty degreaser. Inspect the sides of the outdoor HVAC unit for debris, including leaves, pine needles, or mud. In the winter, clear ice and snow ten to twelve inches away from the unit to provide maximum airflow. Make sure any guttering above the unit is clear and free from leaks or drips. Excess water or snow falling onto the HVAC unit causes freezing and keeps it from working properly. Check the piping for any leaks or deterioration at least once a season (every three to four months). Replace any insulation if needed to help keep heating problems from happening. If you experience ice buildup, turn the unit off and attempt to remove frost with a garden hose. If the weather is exceptionally cold, call an HVAC professional to take a look at the situation. Never use an ice pick or sharp knife to remove ice from the heat pump, as doing so likely will create a bigger heating problem. Have the heat pump serviced annually by a trained HVAC professional. A knowledgeable eye sees small heating problems before they become big, saving you hassle and money.